My adventures at the 2016 Emerald City Comicon can officially be considered a success and, after spending four days taking photos, watching panels, talking to people, making new friends, and enjoying the organized chaos and delightful atmosphere, this event provides, I have compiled a record of my experience for you enjoyment. This year's festivities actually began with the Image Comics Expo on Wednesday although I was not able to attend. Lots of news came out of this event and apparently it was a really good time with lots to see and do. CLICK HERE for more information on how it all went down. 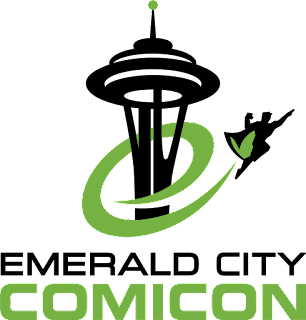 In preparation for my journey through the convention, I scoured the lineup of artists and exhibitors as well as the panel schedule in an effort to maximize my time over the four days. After narrowing everything down to a select list of "TwoOhSix Picks", I had a good idea of who and what I wanted to see. Want to check out my picks? CLICK HERE for artists and exhibitor picks and CLICK HERE for my panel picks. 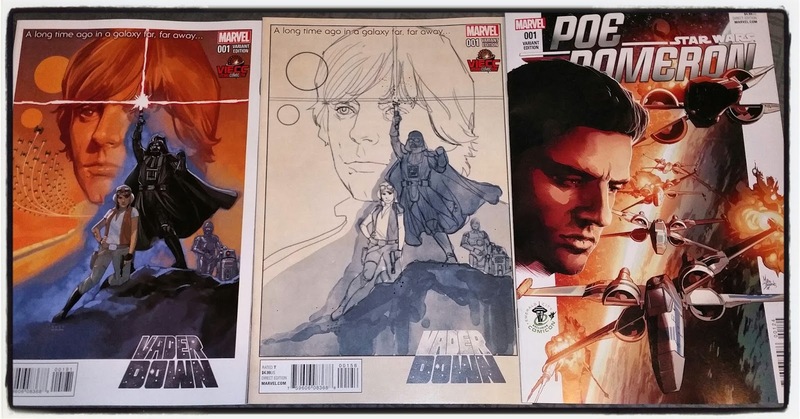 Star Wars variant cover comic books! Day one of the convention is typically my day to just roam around, take it all in, and get the lay of the land so I am prepared for the next few days. 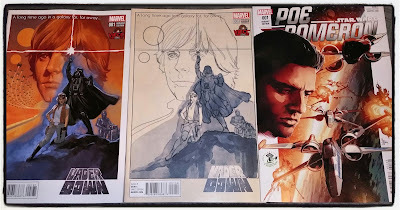 I usually don't buy anything but had a chance to pick up the exclusive variant cover comics you see above during a rare time when there was no line at the Reed Pop merchandise stand. I did take the opportunity to sit in on the DC: All Access panel which was really interesting and a couple of their announcements had me thinking about getting into some of their new titles. 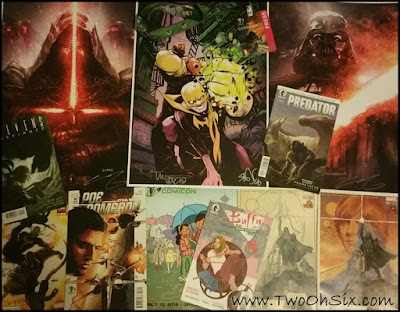 CLICK HERE for more info on the DC panel and an overview of my Thursday at the convention. Jon Bernthal, Thor cosplay, and Elden Hanson! Day two was definitely go time as my day was filled with panels I wanted to attend including main hall interviews with Jon Bernthal and Elden Hanson both from Marvel's Daredevil TV show. I also got to see a Dark Horse Comics panel which revealed some really awesome news about their collaboration with Fox Studios as well as a panel featuring Ashley Eckstein who is the voice of Ahsoka Tano in the Star Wars: Clone Wars and Star Wars: Rebels animated series. The video below features footage from Ashley Eckstein's panel in addition to some other really cool stuff. This was easily my busiest and most productive day. CLICK HERE to see my recap of Friday's fun and festivities. 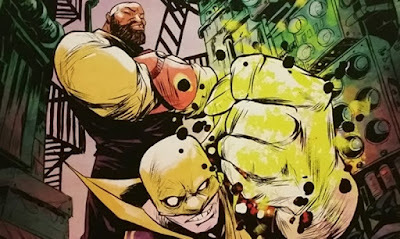 Power Man and Iron Fist by artist Sanford Greene! By Saturday, you really start to feel the effects of the previous days and pacing yourself becomes essential along with staying hydrated, of course. Always be prepared! I started the day with a Marvel panel and then spent the rest of my time on the show floor checking out vendors and taking pictures of as many cosplayers as I could. We tried to see Nathan Fillion's panel but it had filled up by the time we got there which was kind of a bummer. I also missed the costume contest simply because I needed to get home to rest if I was going to survive the weekend and also get all my comicon coverage posted for your enjoyment. CLICK HERE to check out my recap of day three. Hanging out with Jayme Twins Art! Day four had finally arrived and I was ready for one last run through Emerald City Comicon before they ushered everyone out and closed the doors for another year. I chose to skip out on panels for the day in favor of walking the show floor, talking to vendors, taking photos, and making some last minute purchases of things I had been looking at over the weekend. 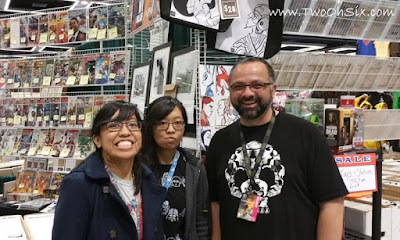 Being able to chat with artists like the Jayme Twins, John Giang, and Faith Erin Hicks was a real treat and a nice way to wrap up my comicon experience. One of the books I had wanted to buy was actually sold out by the time I got back to it although I do plan on picking it up at some point. The book is a graphic novel and a collection of the comic book series, The Untamed from Stranger Comics who have also produced a comic book series called Niobe that features a young black warrior woman as it's hero and lead character. Both books have received a ton of praise and acclaim for their groundbreaking stories and beautiful artwork so I am looking forward to checking them out. CLICK HERE to read my Day Four recap post. All the awesome stuff I took home! As I begin to wrap up this recap post, I am thinking back on all the fun I had both by myself, with my friends, and surrounded by so many people generally having a wonderful time. 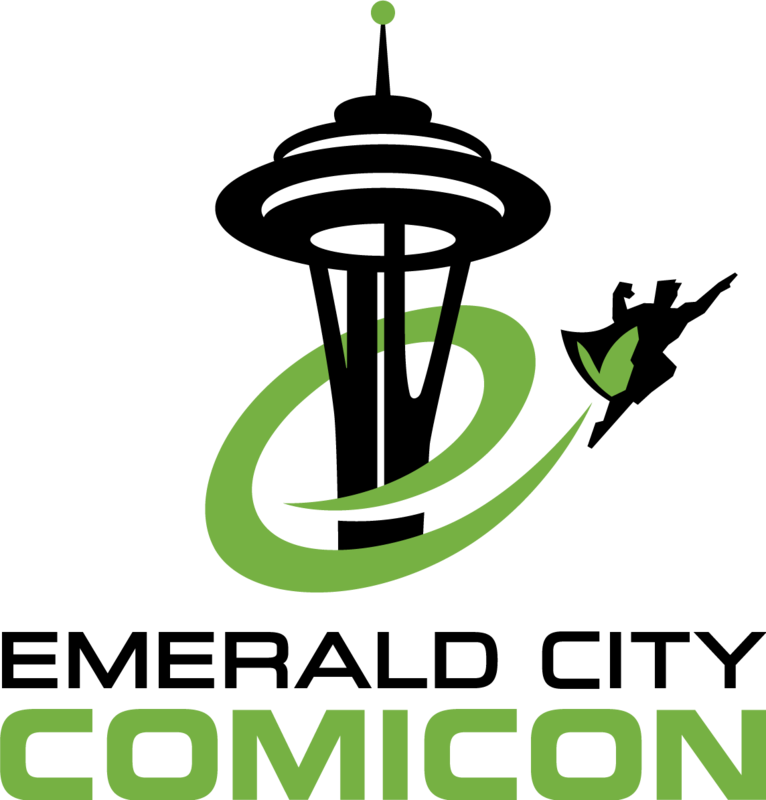 Attending the Emerald City Comicon is a very unique experience and I try my best to take in as much of it as I possibly can. To close out this year's coverage, I put together a video that features some cosplay pictures as well as some video clips I shot during the convention. The song you will hear throughout the video was produced and recorded by Kawehi who is a brilliant artist in her own right. Thank you, as always, for checking out my website. You can also follow TwoOhSix.com on Twitter, Instagram, and Facebook page where you will find the 2016 ECCC photo album that you see below.